“In riding a horse, we borrow freedom,” wrote author Helen Thompson. But can you imagine the freedom that would come with traversing a desert on horseback? With nothing but the ground underneath and the clear blue skies overhead. Crossing dramatic landscapes and indescribable vistas such as found only in this land of endless horizons. Galloping across plains and through craters, climbing mountains and soft sand dunes. Sleeping under the amazing starry night sky with your horse neighing nearby. Can you imagine that kind of freedom? It would be something quite epic, don’t you think? 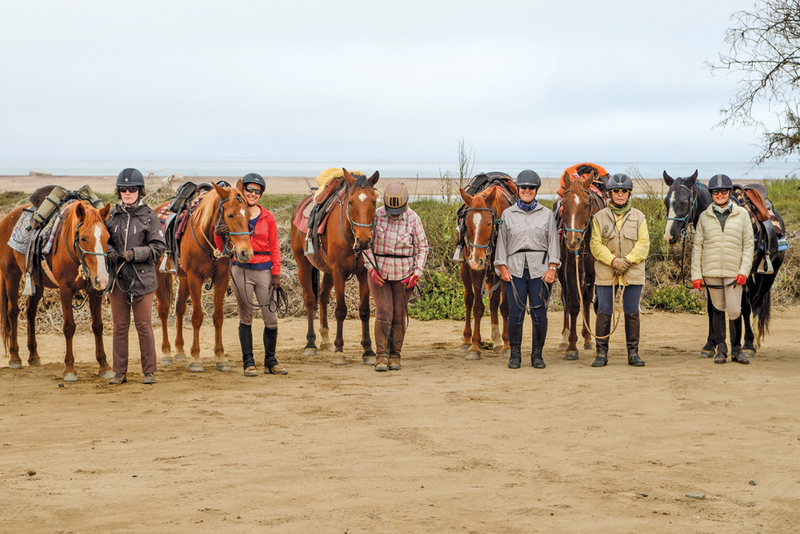 O n May 6, sixteen resilient riders mounted hardy horses and set off on an adventure of extravagant proportions. 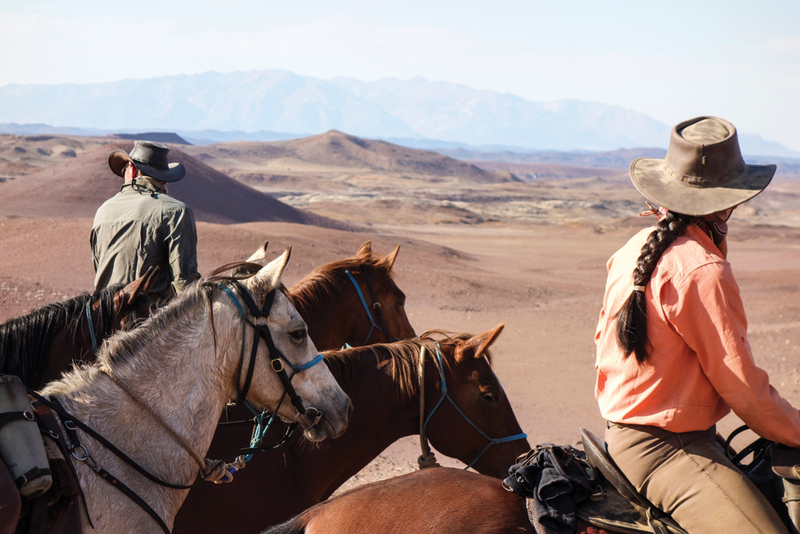 For thirty days they traversed arid Namibian landscapes on horseback. 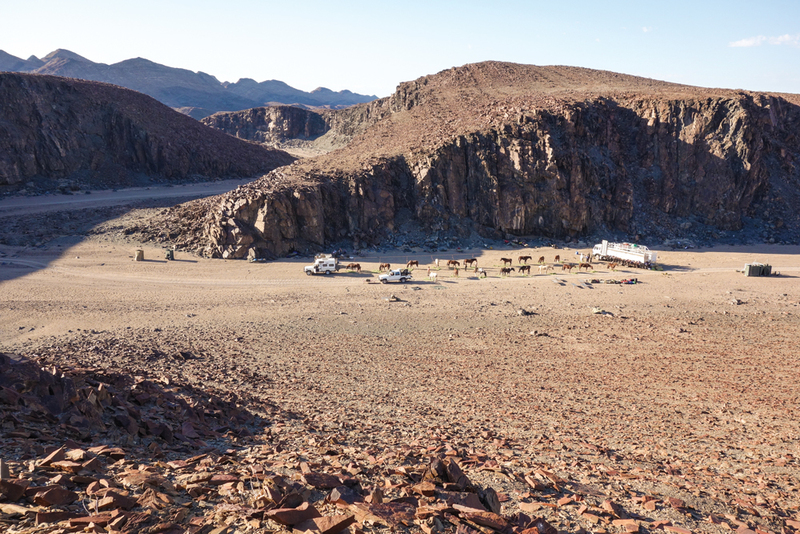 All the way from Twyfelfontein to Lüderitz. Their journey taking them to towns and settlements such as Henties Bay, Swakopmund and Solitaire along the way. One thousand kilometres. “Why”, you may ask. Well… because they could. It is said that often the best journeys answer questions that in the beginning you didn’t think to ask. 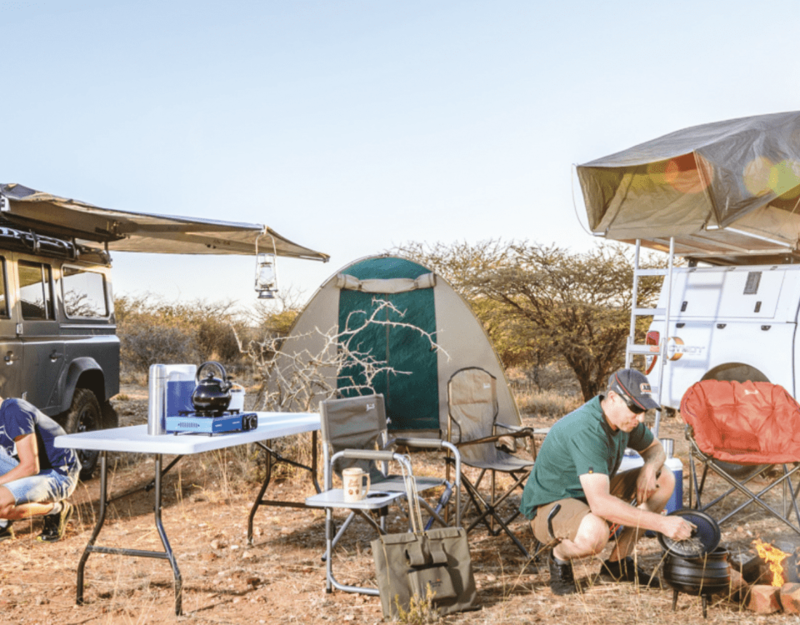 Andrew Gilles, part owner and operator of the Namibia Horse Safari Company has been in the business of saddleback safaris through the country’s most splendid landscapes for two decades. He says that over the years a motif started to develop amongst riders participating in their trips. Towards the final part of almost every expedition riders would express sadness at their journey’s impending end. “We don’t want the ride to end, let’s keep going”, they would say. So, Andrew thought, why on earth not? Let’s keep going. Let’s go as far as we possibly can. Let’s combine almost all our existing tours into one dynamic, all-encompassing experience. And so… The Epic was born. 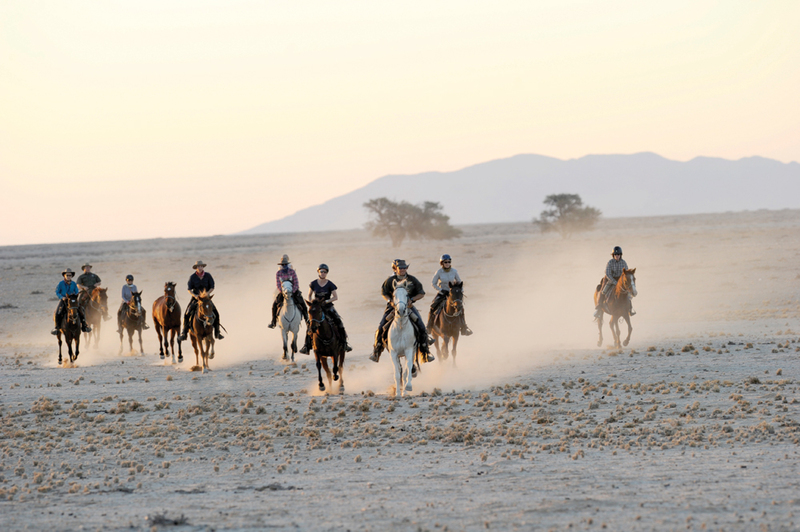 The ultimate goal: To showcase the best of Namibia from the back of a horse. The Epic brought together riders from across the globe. 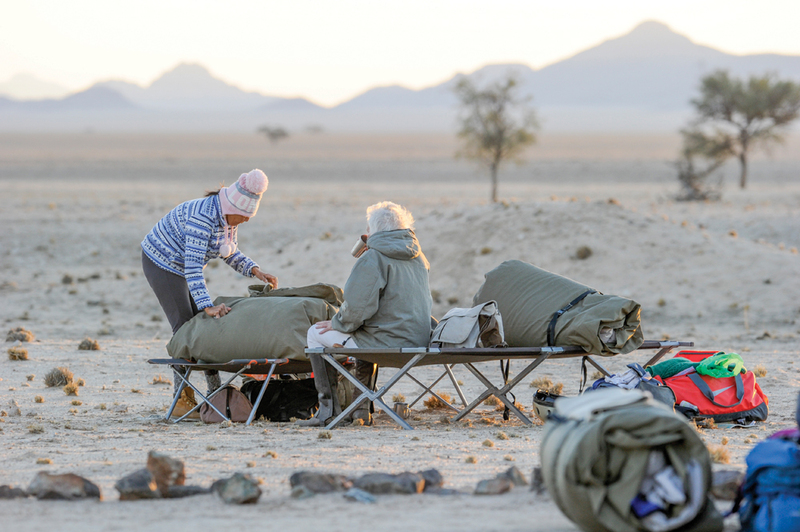 Adventure seekers from the United States, France and Britain and all the way from Malaysia made the great trek to Namibia to join Andrew and his team on their greatest quest yet. Most of the riders had previously joined a tour arranged by Namibia Horse Safari Company and therefore had an idea of what awaited them. But how does one compare a 10-day safari to a 30-day extravaganza on horseback? None of them could have been prepared quite well enough for the magnitude of such an experience. 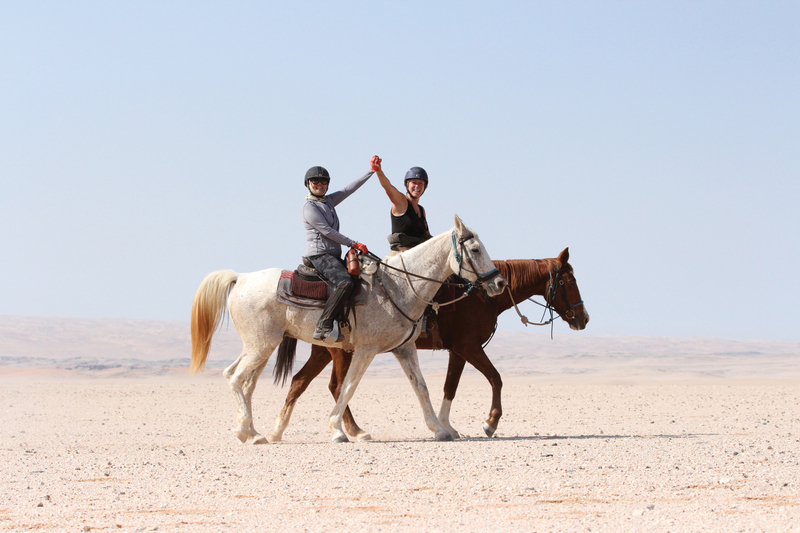 Namibia Horse Safari Company has organised horse riding safaris through the Namib Desert for more than 20 years. 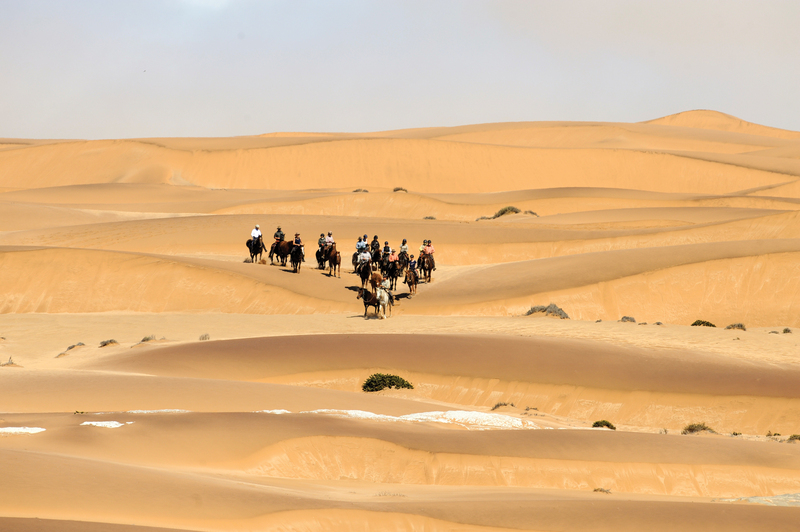 A range of 10-day rides covers experiences in areas such as the Namib Desert, Damaraland, the Fish River Canyon, Namib Rand and Wolwedans as well as the wild horses of the Namib near Aus. The Epic combined most of these destinations. The group followed trails to track desert-adapted species such as elephant, lion and rhino and sped through the Messum Crater alongside a herd of excited zebra. Andrew says they “whooped it up” across these dramatic landscapes at speeds of up to 53km/h. The date is yet to be set but Andrew is certain that the next Epic will come to fruition. 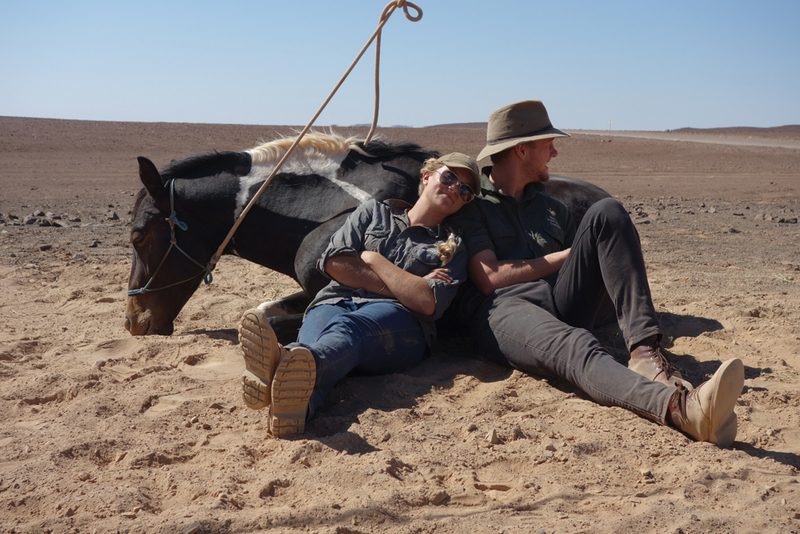 With so many avid adventure seekers out there, who would love nothing better than to steal away from reality for a month to scour the wilderness of Namibia on horseback, the next instalment of this intrepid tale is sure to come! Visit the Namibia Horse Safari Company’s website at www.namibiahorsesafari.com for updates or to book a tour. Riders spent six to eight hours a day in the saddle, covering distances of up to 60 km. Each leg of the journey involved 20 different horses, including four spare horses in case a friend got tired or needed a tag out. 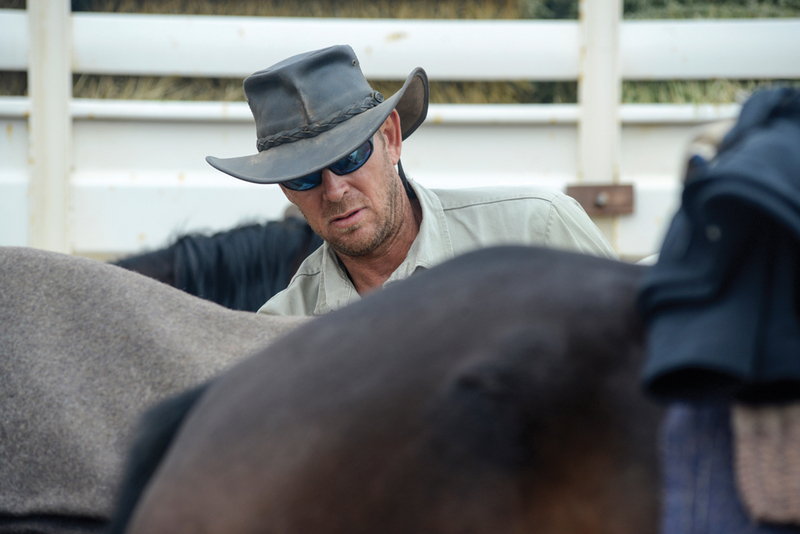 After completing their respective leg the horses were taken home for a well-deserved rest of six weeks. With the terrain being as tough as it was, only the most robust and resilient of horses were chosen for the journey. And the riders had to toughen up, too. A thousand kilometres in thirty days is not for the faint hearted, even if the camp that was set up each night left little to be desired. Who can complain about roughing it for a month when you have a linen duvet to sleep under, a hot shower every evening, ice in your gin and tonic and are treated to chocolate brownies around the campfire. A few set-backs would have to be expected on such a feat, but with the exception of a fall here and there the riders made it through unscathed. Night-time visits from curious hyenas did not scare them out of their wits, and when it came to trudging through thick reeds with the knowledge that lions were likely to laze nearby, the group took to singing Kumbaya to alert all predators to their presence. What makes a trip like this truly exciting, however, is the fact that you have such unfettered access to places which can’t be travelled to on foot because of distance and that you can’t get to by car because of the terrain. Knowing that you may be one of the very first people to cross this particular patch of desert grounds you. 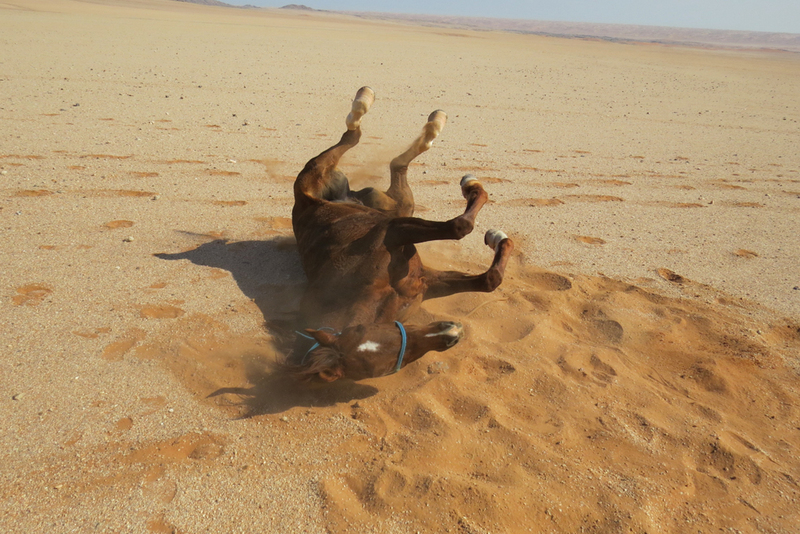 It is just you, your horse and the desert, and all the trivialities of the real world melt away. The unchanging, remote and quiet places sooth the soul as you and your steed meander through them, leaving only footprints behind. It is unlikely that you walk away from an experience like this unchanged. And with such amazing memories to treasure forever, the freedom of the ride is sure to stay with these epic adventurers long after they return home. 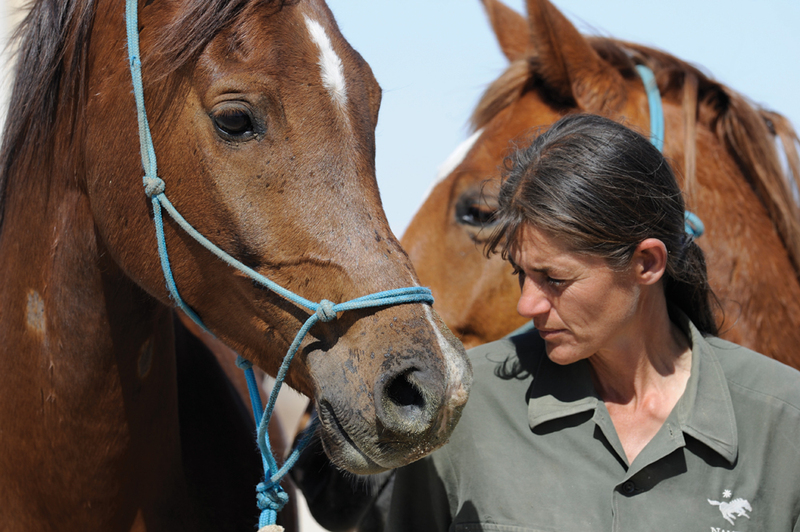 The Namibia Horse Safari Company’s self-proclaimed “most precious asset” are the horses, of course. The mixed herd originates from breeds such as Arab, Haflinger, Trakehner, Nooidgedacht and Boerperd. 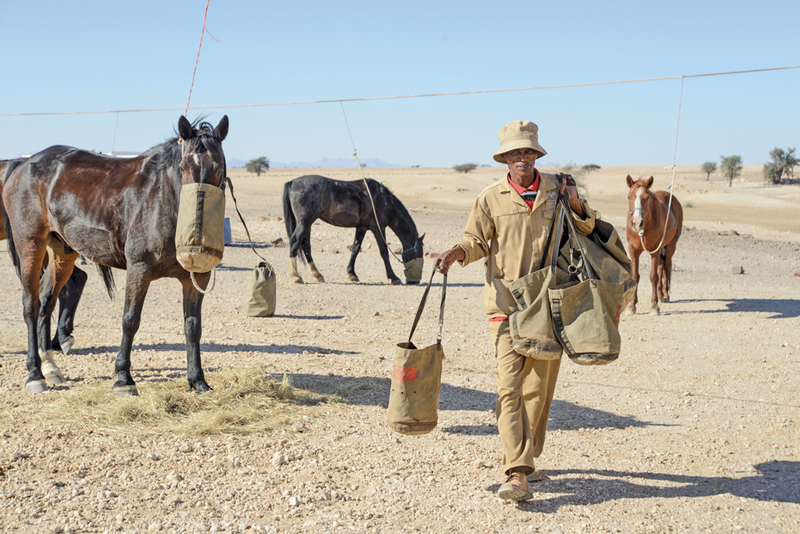 All the horses have been raised on Namibia’s rough terrains, making them experienced, sure-footed and hardy.